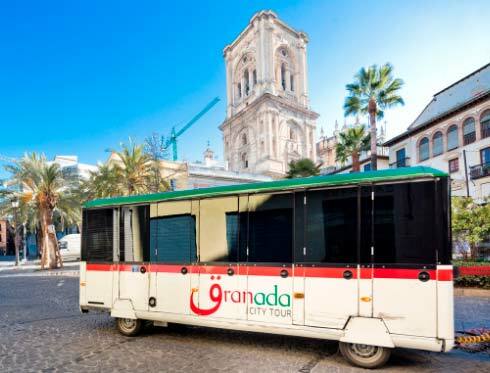 Throughout history, Granada has lived many battles between different cultures who wanted to get the control of the city. This is why the Alhambra, one of the highlights of the city, was totally surrounded by a wall that protected it from possible attacks. The wall counts with gates which allow access to the monumental core. The most famous ones are the Gate of Justice and the Gate of the Seven Floors. The Gate of Justice is the biggest one. It is so big that it is said there would never be any knight on his horse able to touch the tallest point of the arch. In case it occurred, the knight would become the king of the Alhambra. The Gate of the Seven Floors became popular thanks to Washington Irving’s Tales Of The Alhambra, because the circular bastion located in front of this gate stars in one of the tales. This famous gate was partially destroyed by Napoleon’s troops but in the 70’s it was restored. 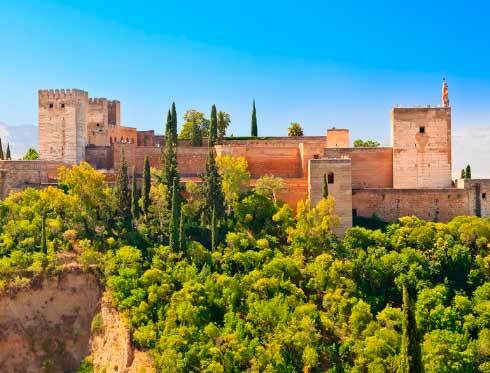 The Alhambra counts with a total of five external gates erected during the Nasrid period and two internal ones which allow visitors to admire this fortress from any angle. Anyway, it is necessary to say that one of them, the Iron Gate, it is kept closed because of the difficult access. Occasionally can be found open, so if you want to visit it, you will be able to pay attention on the announcements made by the Patronato de Granada and the Generalife. 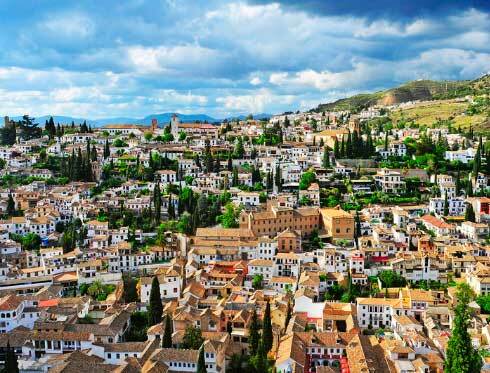 Get in the monumental core through the gates of its wall and fall in love with the Alhambra and the Generalife. Related stops: number 1 (Alhambra) of the Alhambra Route – Daytime.